Curt’s Ultimate provides a comfortable environment where you can exercise, train and reach your goals. We have a wide range of personal training services and classes that are custom tailored to your needs, experience level and desired results. Contact us for more information about personal training, classes and scheduling. Curt’s Ultimate will be featured in the upcoming film, “Once I was A Champion” The Evan Tanner Story. Everyone’s goals are different and we will work with you to help you reach your goals. We have the experience your looking for whether you want to get in shape and lose a few pounds, take a kickboxing class, learn self defense methods or train to be a professional fighter. Our staff of professional trainers will create a personalized plan that specifically targets the areas you would like to focus on so you will reach your goals and feel good doing it! The personal trainers and coaching staff at Curt’s Ultimate have the experience needed to ensure your success. You will be working out with guidance from professional instructors who have the experience to help you achieve your goals and stay motivated. 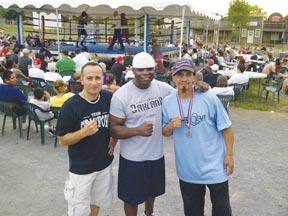 Whether you are a fighter looking to improve your skills or someone looking to get in shape, Curt’s personal trainers will help you reach your goals. Men, Women and Children of all ages are always welcome at Curt’s Ultimate. Come work with the best personal trainers in Portland, Oregon. Curtis Crawford is best known in the MMA world as the man who helped Evan Tanner win the UFC Middleweight Belt in 2005. 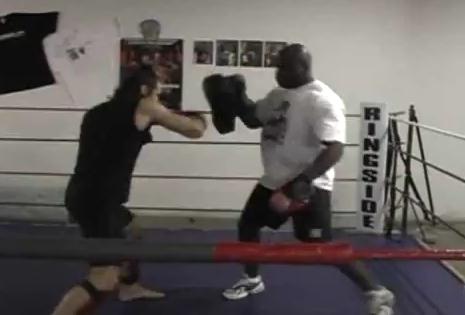 A veteran of MMA, Crawford first started training in the sport around 1995 with former UFC Heavyweight Champion Maurice Smith as well as fighters from AMC Pankration including Frank Shamrock, Tsuyoshi “TK” Kohsaka, and Matt Hume. Crawford also trained at Team Quest where he coached UFC Hall of Famer Randy Couture, Evan Tanner (seen training with Curtis on the right) and many more.